If you are looking for a great place to work, this is the place to be. They have great pay, great bonuses, great insurance, pet policy, rider policy, the people are wonderful here, if you want to talk to the vice president you can with no hassel, everyone knows you by name and face (including shop personnel), you never have to wait for a load assignment, steady freight, if there is a problem they fix it right away, and the home time you wont find no better. I am home every weekend and its a full weekend. Not just 34 hrs. I just cant say enough about how wonderful this company is. Been with Fraley and Schilling since February 2017. From the first day at orientation I knew Fraley and Schilling was a great company. 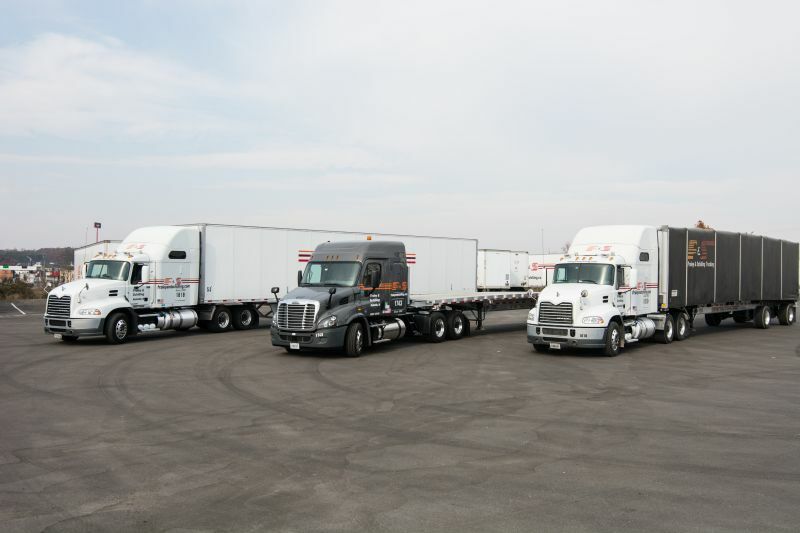 A very driver friendly company and I wish I would have came here sooner. I love that dispatch doesn't try to micromanage me or my clock. It's nice being called by my name and not referred to as only my truck number. 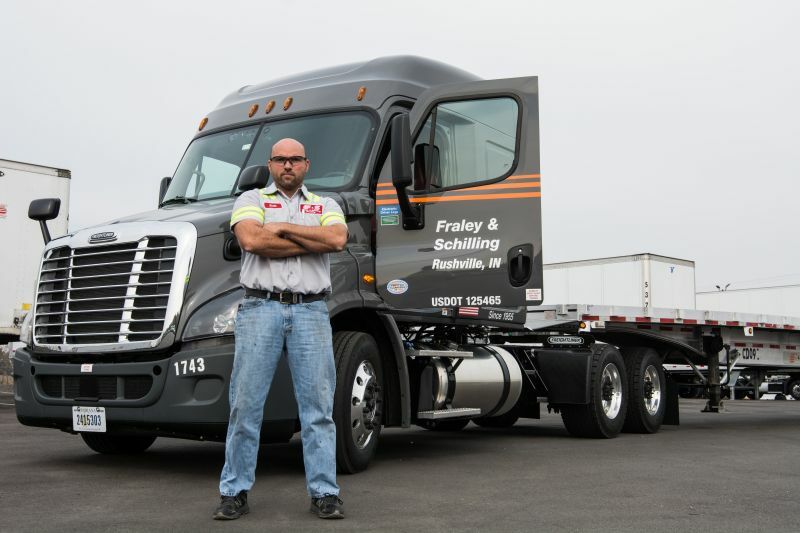 I highly recommend Fraley and Schilling to any driver who is looking for a driving career and not just another driving job. 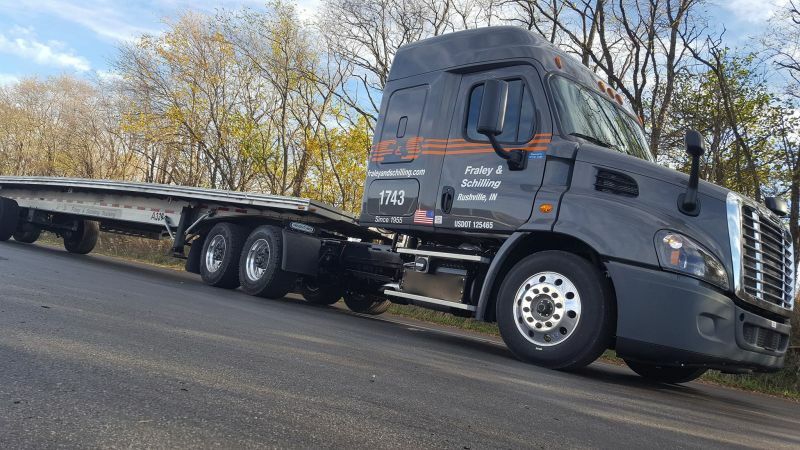 As far as equipment goes I just got placed in a 2018 Freightliner Cascadia and I love the new truck. Fraley and Schilling is buying new Extreme trailers and they are top notch. Home time is great. I have to ask to stay out on the weekend instead of having to ask for home time. Have regular customers and steady freight which allows for better trip planning. As a wife of a driver I can only say good things about F&S. Billy always says trucking is a business where things are done different than a 9-5 job. We are accommodated for his time home about 99% of the time and when he's not home driving time rules ,traffic and loads situations are why. We have been with the company since May 2016 and look forward to the future. I have been back with the company for a quite a few years now this is truly a family and community orientated company . And I am very thankful for the graciousness that The company and Especially Mr.Schilling and Mr.Piper has shown is impeccable.on behalf of the Mt.Zion Baptist Church, The city of Steubenville Ohio, American Legion post 274,American legion post 557, The 10th District American Legion, Prince Hall masons, Free and accepted masons, Eastern Gateway university and other local businesses and myself we thank you for your blessed grace of allowing me to deliver the water we donated to help the relief efforts for hurricane Harvey!! God bless you Mr.Schilling. I am proud to work for such a great blessed company!!! I've been working for the company for a month . Everyone I come in contact with is very professional and courteous. It is great to work with people who do what is promised. I really look forward to growing with Fraley and Schilling. Thanks everyone!